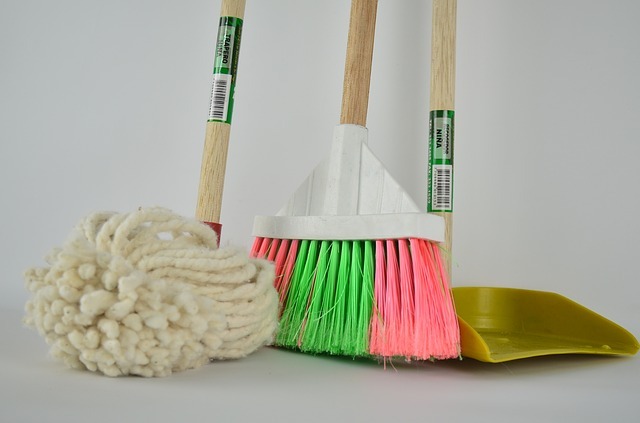 When it is time to get serious about spring cleaning, you may start considering what the most effective clean products and supplies for this event are. Instead of relying on your normal chemicals, consider going green with your spring cleaning this year. Several advantages make eco-friendly cleaning supplies the better choice. Many common household products serve as efficient cleaning aids. Just look in your pantry or kitchen cupboards for ingredients like baking soda, lemon, and vinegar that can tackle some of your most daunting cleanup work. Baking soda mixed with water into a paste-like substance is similar to popular cleansers sold in stores. The mixture works well to remove stains and grease. Lemon is a powerful cleansing agent that leaves a pleasant citrus scent. When mixed with hydrogen peroxide, it works just as well as bleach, and it is friendly for your septic system. Vinegar mixed with water not only cleans dirty surfaces but also adds shine to some. Check a clean-green handbook for tips on mixing the products for best results. Whereas many big-name cleaners on the market are pricey, the household ingredients named above are reasonably priced. When mixed and used properly according to expert recommendations, they can last a long time and work as efficiently as brand name cleaning products – for a fraction of the cost and without the dangers that chemicals pose. These products are readily available at supermarkets, dollar stores, corner stores, so you can purchase them easily without going far off your normal shopping destinations. Using natural products instead of chemical cleaners is safer than using traditional chemical cleaners, precisely for the reason that they don’t contain any chemicals! They can be safely stored in the kitchen or another storage area. While you should still seal them up properly, it won’t hurt your children or pets if they accidentally run across the floor right after you cleaned it or put their hands all over your windows and then in their mouths. You also won’t have to worry as much when it comes to natural products. Traditional cleaners leave behind a chemical smell which can cause headaches, especially when used in areas that are not well-ventilated. If you use natural green cleaners, not only can you avoid this chemical smell and any ensuing problems, you can actually choose what scent you want to use. Essential oils pair well with all of these products, without disrupting their efficacy, which means you can put two or three drops of your favorite essential oil in your cleaners to leave a fresh scent behind. Cleaning your home with environmentally friendly substances like these is good for your family, your living space, and the environment. Affordable cost and residual scents are additional benefits. Enjoy green-cleaning your home this spring!